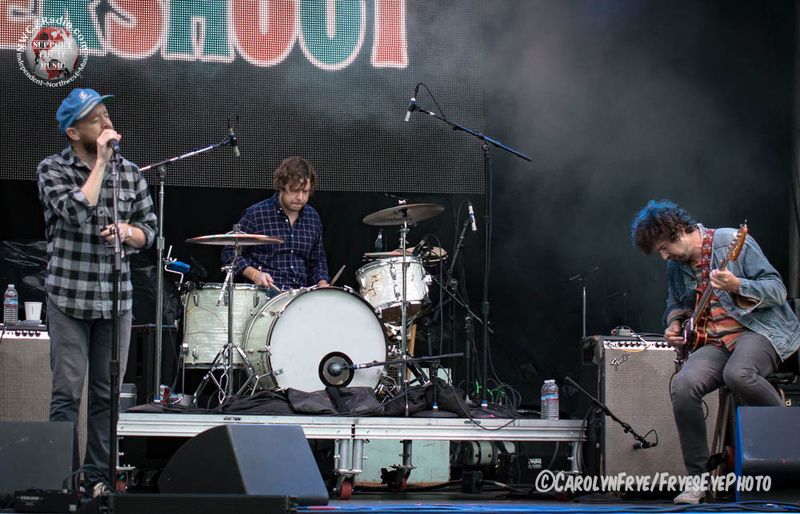 Times, they are a-changin’ for Seattle’s quirky little darling Bumbershoot Festival. 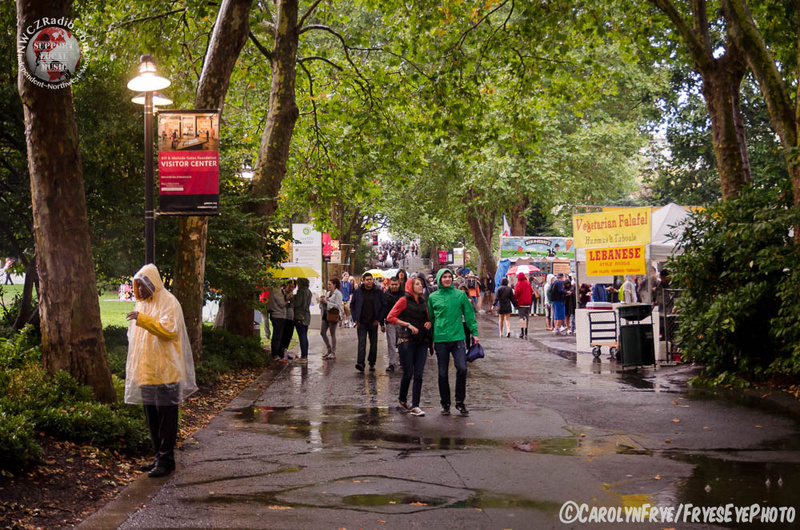 The once reasonably priced, family-friendly event each Labor Day weekend in the middle of Seattle Center has gone the way of the buffalo. In it’s place; long lines, scantily clad twenty-something’s and astronomical ticket prices. 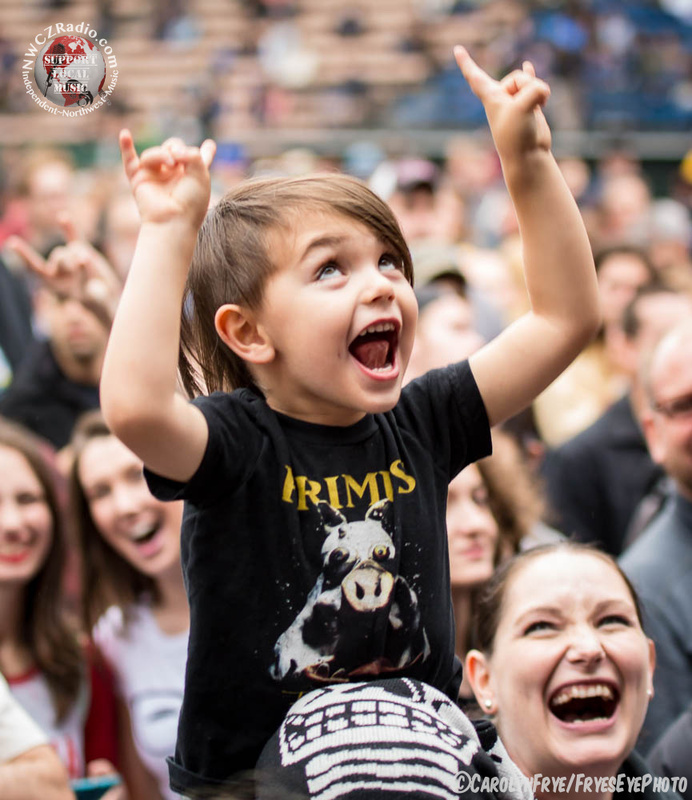 In the debut year of mega-event company AEG Live’s takeover of Bumbershoot, it was clear of their intention to reform the long-time city-run festival into something that closer resembled the wildly popular Sasquatch! Festival in George, WA and Coachella in Palm Springs, CA. Droves of festivalgoers flocked to Memorial Stadium to watch acts like The Weeknd, Chance the Rapper and Ellie Goulding; current artists who are heard on every major pop radio station in the entire world. Inside Key Arena, an EDM wonderland (don’t call it a rave) ensued for three whole days and the entire place was packed in with people ready to dance. But many long-time Bumbershooters were left feeling alienated from a festival they helped keep going for so many years by giant fences, RDIF-chipped wristbands and hundreds of often-uninformed Staff Pro workers. Non-musical performances were grossly under-attended; the amount of local vendors shrunk considerably and art exhibits like Flatstock were almost non-existent. Local music was largely sequestered to the smallest stage, which also happened to be the furthest away from most of the action. In essence, Bumbershoot 1.0 has outgrown itself, and is now being forced to wear Bumbershoot 2.0’s new hip shoes. However, with the money AEG is pumping in, the big musical performances this year were top-notch, albeit a bit different from lineups past, and did not disappoint. The big acts all put on killer shows, but there were plenty of standout performances on all stages that impressed the crowd. 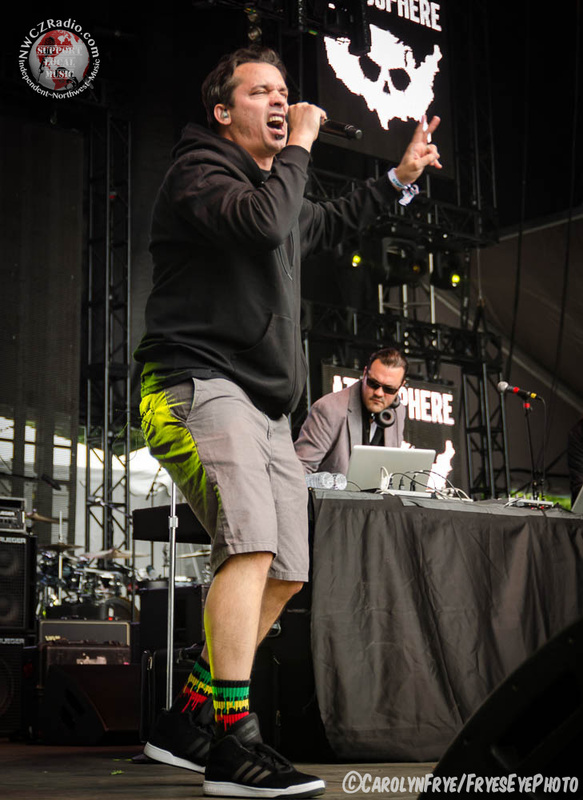 Atmosphere’s Slug broke down reality with his indie-rap laments about life, women, addiction, heartache and politics. His attitude, cadence and lyrical content captivated the crowd, and that familiar smell of that recently-legal plant set the mood for the performance. 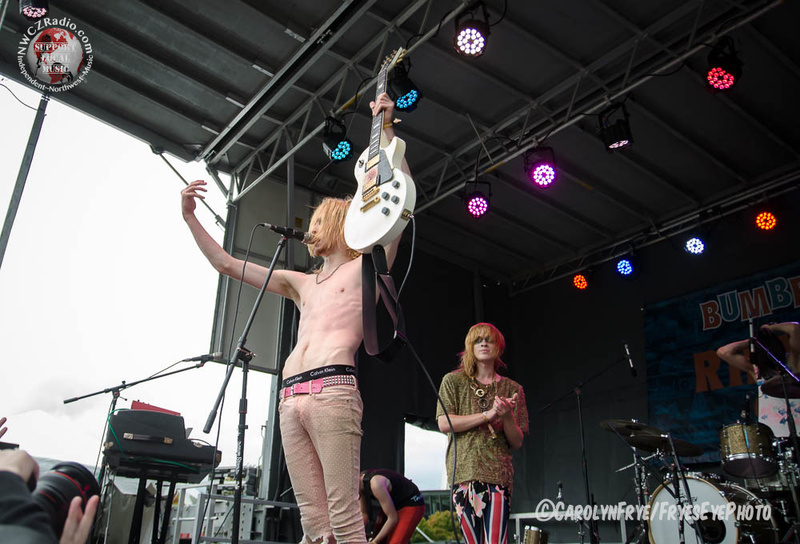 As fate would have it, his song “Sunshine” opened up the skies on Saturday, and a torrential downpour washed out Seattle Center, causing a temporary delay in the festivities. During the massive rainstorm, thunder and lightening threatened to close down the day for good, but subsided relatively quickly and the show went on. Soggy and late, but worth the wait. Folks donned raincoats, ponchos, black garbage bags; whatever would keep them relatively dry and the merch booths cleaned up with a rush of underdressed bodies in search of dry tees and hoodies. 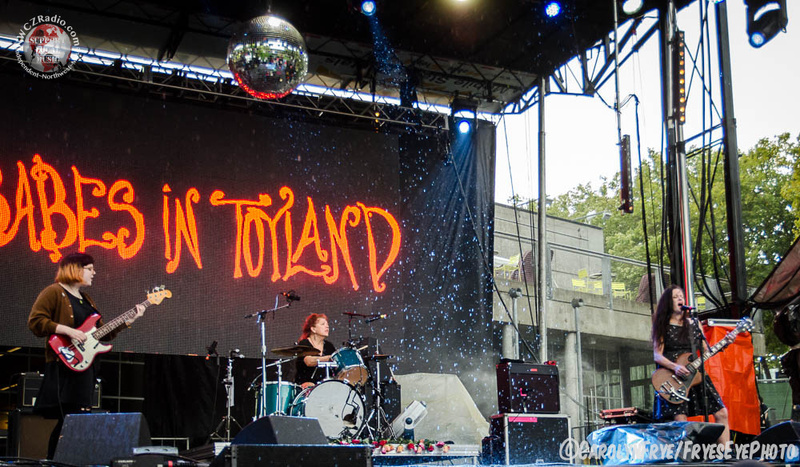 Babes in Toyland sounded as good as they ever have. Rough, hard and heavy, singer Kat Bjelland and drummer Lori Barbero played as though it was still the ‘90’s. Their all female, but not necessarily feminist riot grrl presence took the crowd back to Seattle of yore. Recent addition to the band, 22-year-old bassist Clara Sayler was a great replacement for Maureen Henman, who recently left Babes. Though she’s young enough to be her bandmates’ daughter, Clara owned the stage and showed that you don’t have to be 40 to appreciate their style. 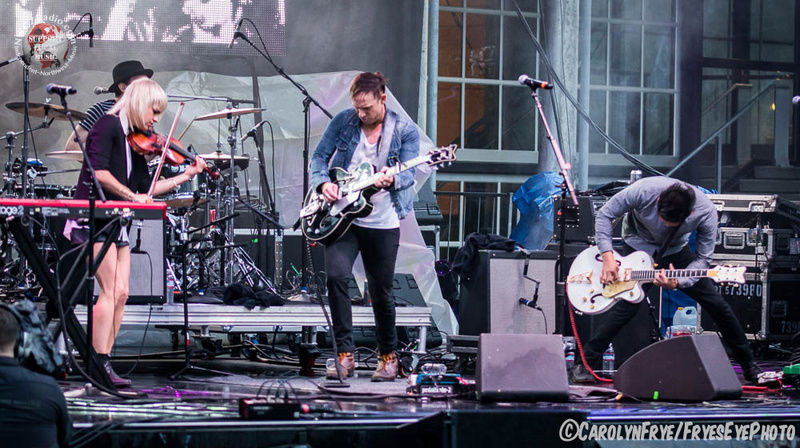 Airborne Toxic Event’s heavy, throwback synth loops underneath the layers of electric piano, viola, bass, guitar and singer Mikell Jollett’s dramatic vocals created an environment that drew the crowd in instantly. Violist/keyboardist Anna Bulbrook was absolutely electrifying, and as they played their famous single “Sometime Around Midnight,” the entire audience was mesmerized. Sunday was definitely the busiest day of the three, and had the most robust lineup as well. 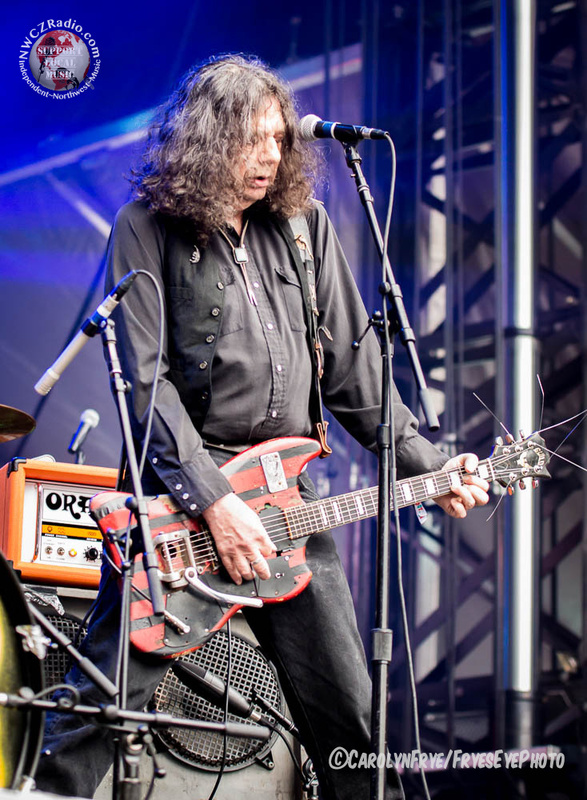 Clackamas Oregon’s punk/blues outfit Dead Moon started strong with fan favorite tunes such as “I Hate the Blues” and “Dead in the Saddle,” but sadly had to cut their set short as guitarist Fred Cole was feeling under the weather due to recent open-heart surgery. He left the stage with help from his wife and bandmate, Toody, and gathered a huge round of applause from concerned fans. 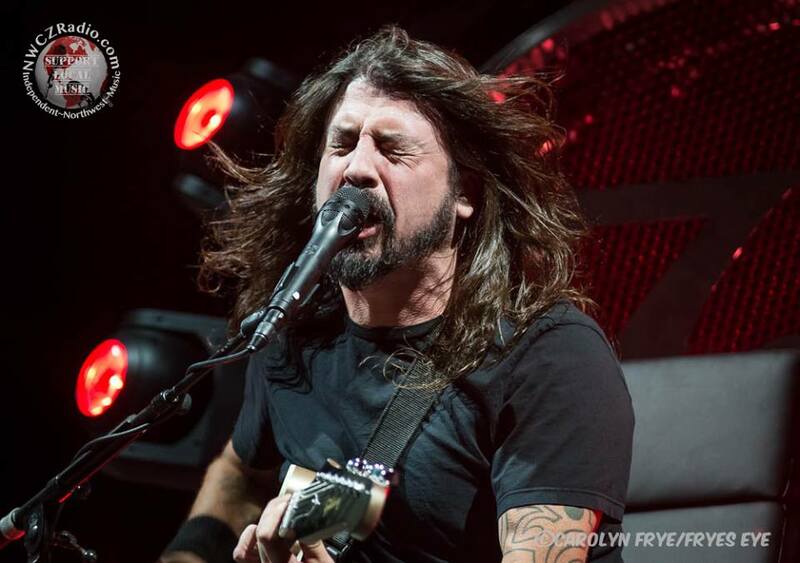 We at NWCZ wish him the very best in recovery, and hope he’s back on the stage rocking very soon. 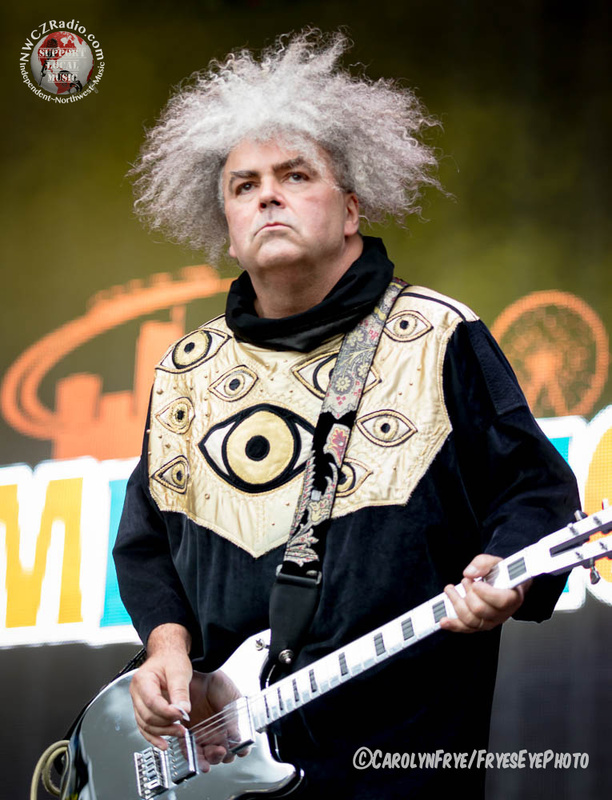 The Melvins put on a great show, as they always do. King Buzzo and Co. wowed the crowd with giant, sludgy riffs, dual-drum heaviness and their signature crank-it-to-eleven wall of sound. The Fame Riot played the small, boggy Rhapsody stage, but had the whole crowd jumping with their synth-heavy, upbeat songs. They are a great band to see live, as they have a presence on-stage that makes the audience unable to look away. 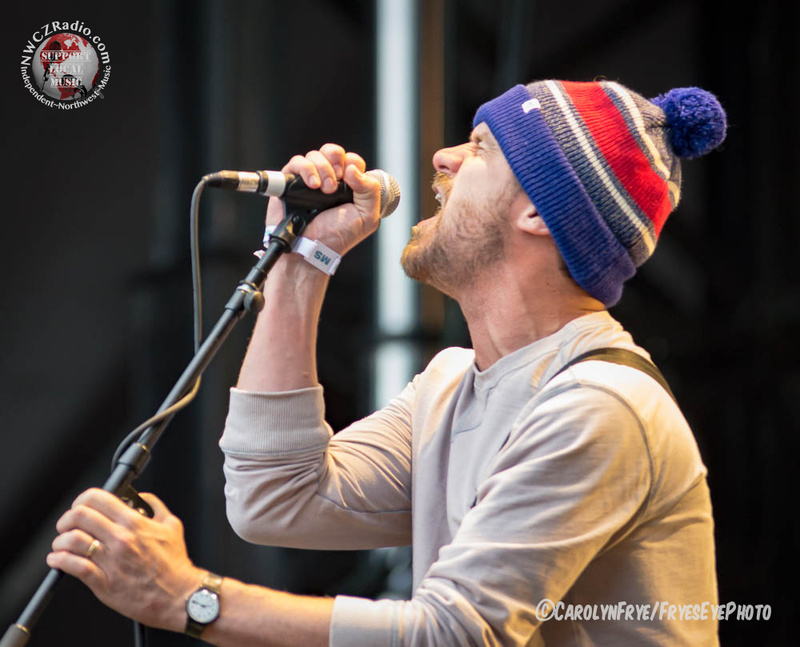 Brand New was a great transition between the earlier performances and headliners on the Memorial Stadium stage, bringing a pop-punk presence to the crowd that many people were craving. Because they are some of the pioneers of the genre, they had a mixed audience of older folks singing throwback songs alongside younger fans belting out some of their newer tracks. Seattle’s own indie-folk outfit The Cave Singers gave a great performance. Vocalist Peter Quirk’s warm, soulful voice coupled with his amazing harmonica is what initially draws you in, but the crunchy, bluesy guitar riffs are what make you stay. Social Distortion celebrated the 25th anniversary of their popular self-titled record in this performance, playing every song on the album. 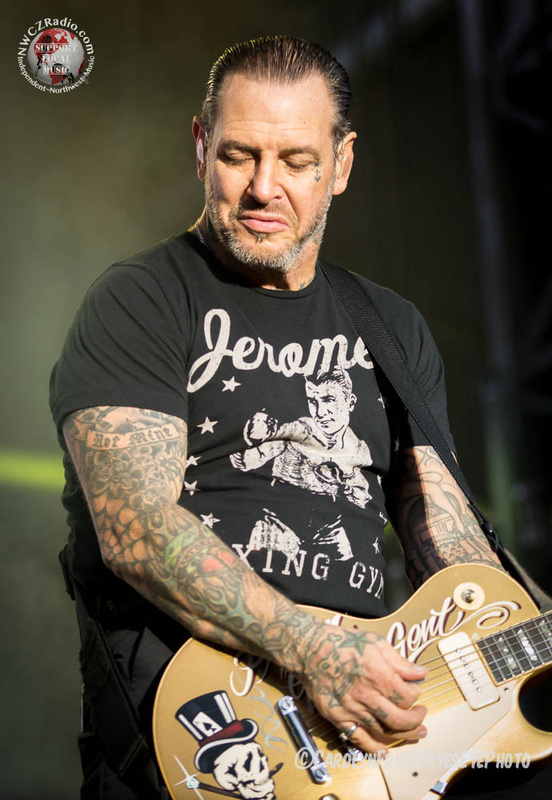 Singer Mike Ness spoke meaningfully on memories of what it was like to be “punk” in the 80’s compared to now, and how his experiences fueled his songwriting. Faith No More were absolutely breathtaking on-stage. The hundreds of colorful flowers in planter boxes covering every inch of the stage and all-white garb, Mike Patton’s snarky smack-talking to a couple of people in the crowd as well as their hard-hitting, powerful songs, their entire performance made the cost of the ticket worth the money. 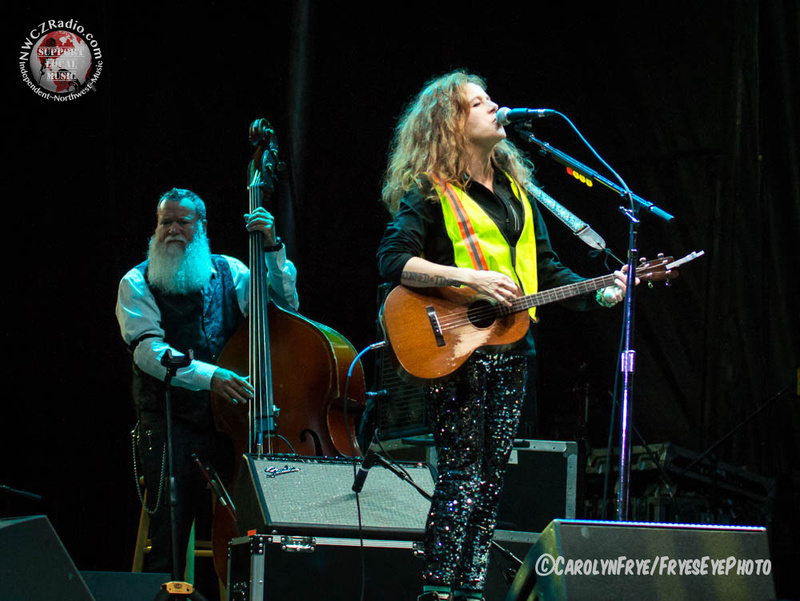 Tacoma native Neko Case closed out the night on the #Nevertamed stage, and she was as charming as she is gorgeous. At one point during the set, she lost her stage monitors and forgot her place in the song as well as some of the words but without losing a beat, she continued to strum her guitar and sing-speak to the audience as the crew worked to get her monitors up and running again. It was adorable and fun, and kept the crowd engaged during an awkward mishap. Monday was a mix of non-musical performances on the arts stages, still maintained by former Bumbershoot organizers One Reel, comedy and some great bands to close down the weekend. 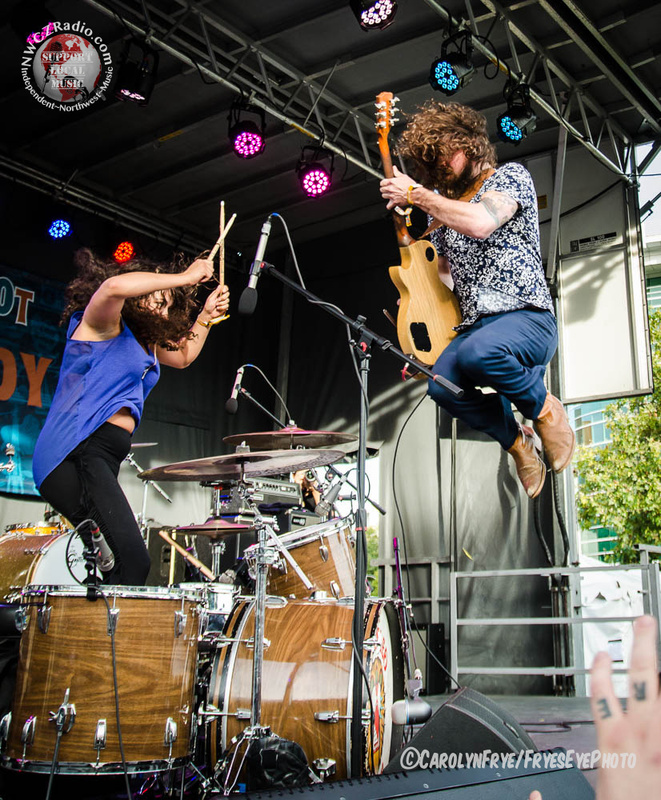 The Grizzled Mighty’s two-piece sound was bigger than it appeared. Drummer Lupe Flores and guitarist/singer Ryan Granger’s mix of garage rock and blues were one of the highlights of the entire weekend, as was their dynamic stage-presence. 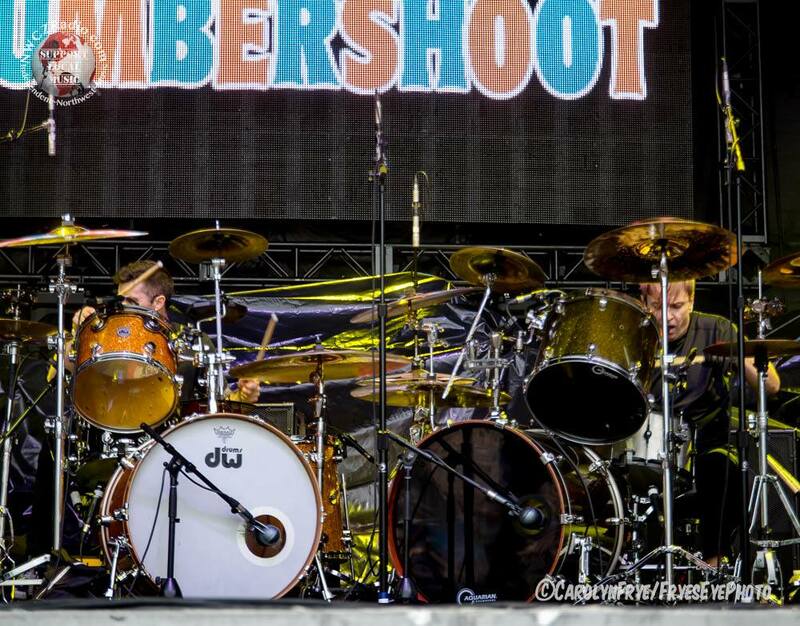 Lupe is a beast behind the drum kit, and Ryan makes sure to use the entirety of the stage while playing. They are a band on the rise, and one to watch out for. These guys are gonna be huge, so make sure to catch them in a local club while you still can! 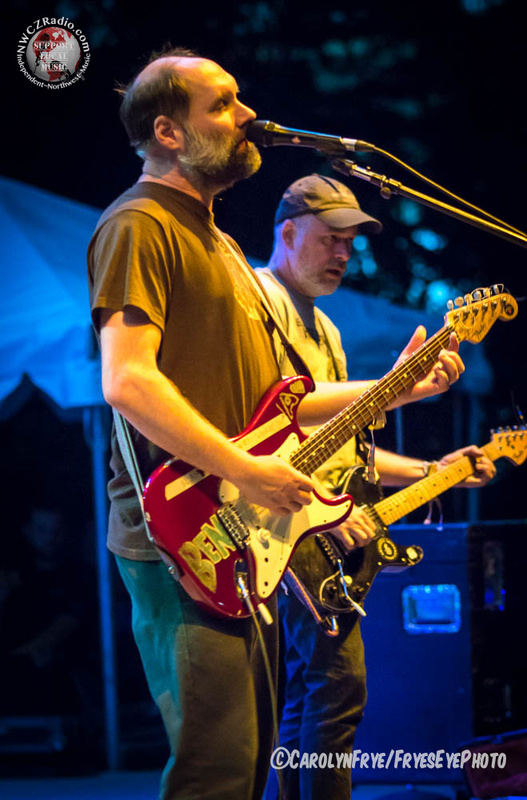 Minus the Bear and Built to Spill both graced the Starbucks stage which was smaller than Memorial Stadium but reminiscent of a larger indoor venue; that is to say, the perfect size. They both were fantastic, and played songs that their large draws came to see, as well as a couple of new ones each. 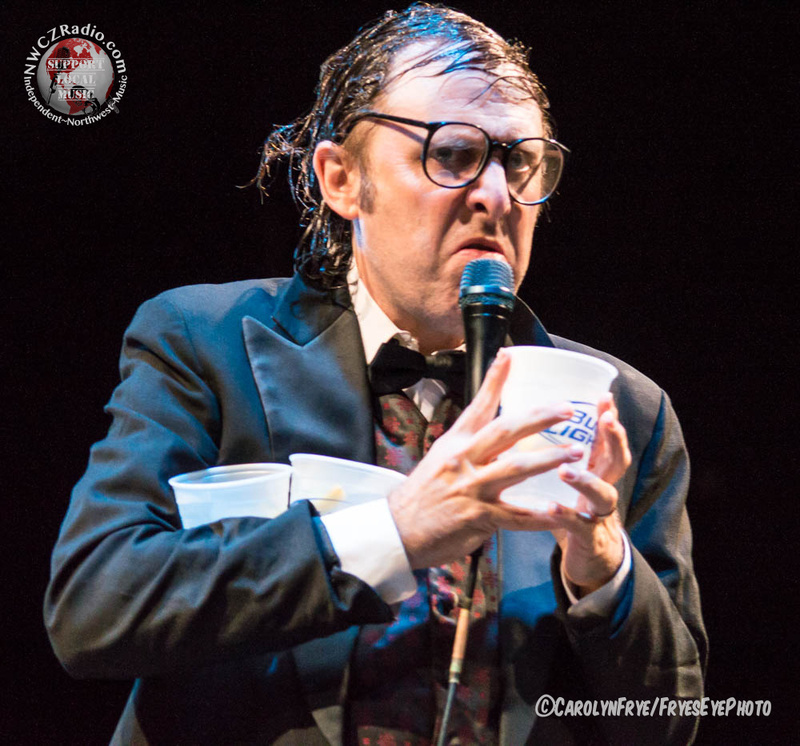 Comedian Neal Hamburger was jarring, and hilarious. His brand of humor was, though a bit unconventional and at times a little crude, absolutely refreshing. He focused on musicians and artists in his classic one-liner jokes, relied on the crowd for participation and had the Black Box Stage audience as bewildered by his appearance and antics as they were completely in stitches by his act. Ellie Goulding drew the largest, and by far the youngest crowd of the night. She’s a pop star, through and through. Every single person was singing along to her mega-huge hits, and she got extra cool points for playing a floor tom during her performance. Ben Harper and the Innocent Criminals were a wonderful way to close out the weekend. Ben came out and humbly thanked Bumbershoot for giving them a chance 21 years ago, being the very first big stage they had ever played. They then broke into their classic and eclectic mix of reggae, rock, blues, soul and funk and had the people on their feet grooving throughout each of their songs. It was impossible to see every artist on the bill, and there were some definite “Oops, we missed them!” moments, but the huge lineup also begs the question “Do I really care about the corporate nature of this new Bumbershoot, if they’re going to bring this kind of talent to the festival?” After next year, perhaps it will be an easier one to answer. Maybe the folks at AEG will take the mounting criticisms of hundreds of attendees and the media seriously and not repeat mistakes made this year. 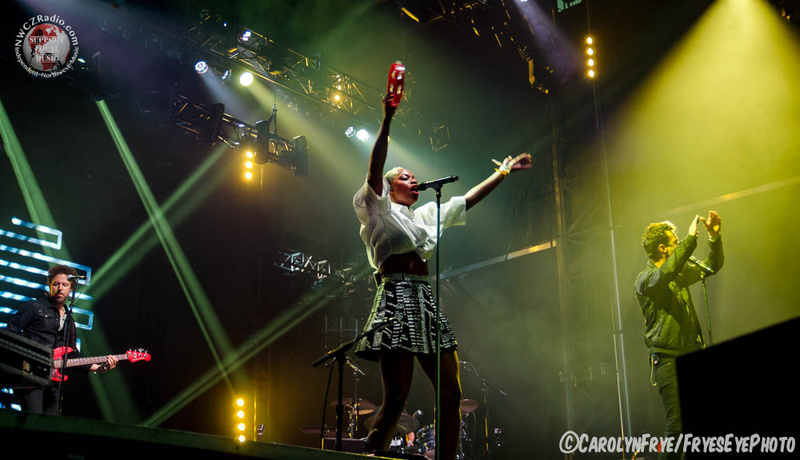 To see ALLLL of the Bumber-fun, including Hozier, check out our Facebook page photo gallery!